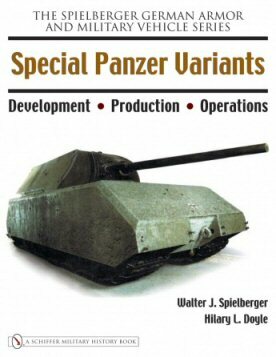 Military History Books, SPECIAL PANZER VARIANTS: DEVELOPMENT. PRODUCTION. OPERATIONS,Walter J. Spielberger,Hilary L. Doyle, Schiffer,ISBN 9780764326226, Maus,Hummel,Wespe,Karl,Goliath, ARMORED BEARS: VOLUME ONE: THE GERMAN 3RD PANZER DIVISION IN WORLD WAR II,Veterans of the 3rd Panzer Division,Stackpole,ISBN 9780811711708, STURMARTILLERIE: SPEARHEAD OF THE INFANTRY,Thomas Anderson,Osprey,ISBN 9781472811288, AFV PHOTO ALBUM VOL. 2,Marek Solar,Canfora Publishing,ISBN 9789198232523, THE LAST PANTHER: SLAUGHTER OF THE REICH,Wolfgang Faust,Bayern Classic Publications,ISBN 9781530359707, 'Kesselpanzer',Halbe-Kessel,Battle of Berlin,German 9th Army,21st Panzer Division. A detailed photo and text study of so-called 'Special Panzers' including built and unbuilt types. Includes Engineer Vehicles, Bridgelaying tanks, Minesweeping Tanks and numerous other prototypes and production types. Detailed scale drawings and plans are by Hilary Louis Doyle. 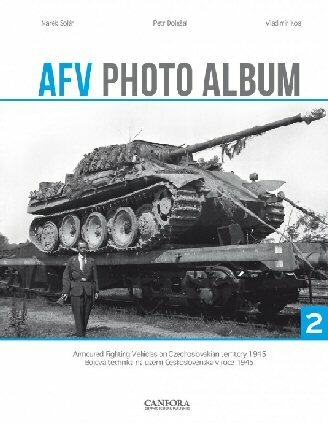 This volume in the German Armor and Military Vehicle Series is a collection of lesser-known German armor developments including the Maus, Hummel, Wespe, Karl, Goliath and others. 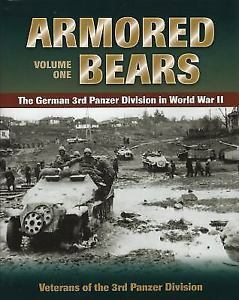 Produced by the Veterans of the 3rd Panzer Division, this volume covers the division's formation and its battles in Poland in 1939, France in 1940, and the Eastern Front in 1941 and 1942. The division had nearly 50 Knight's Cross winners by the end of the war. 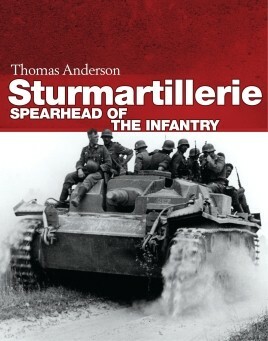 The book contains numerous photos of soldiers and their tanks in action, as well as tables of Knight's Cross and German Cross in Gold recipients. It is based on the daily logs of the division and recollections of its commanders and soldiers. Co-authored by Petr Dolezal and Vladimir Kos this is the second volume in the series continuing the journey through the Czech lands, where a tremendous number of vehicles were knocked out, blown-up or simply left behind by retreating German forces during the final weeks of World War 2. Among them were also vast amounts of Red Army machines, knocked out in the tank battles that raged. The book takes a closer look at what happened to the vehicles after the war. King Tigers, Panthers, Pz.IVs, StuGs. Hetzers, SPWs, T-34s and IS-2s were among them, as well as Möbelwagens, Marders and L/70As. The work is a photographic examination with accounts of the units’ strength, and details of vehicle production variants. Modellers will benefit from the highly realistic, large format colour profiles. English/Czech text. Translated from the memoir 'Kesselpanzer' this is an account of the breakout from the Halbe-Kessel, April to May, 1945. While the Battle of Berlin is widely known, the horrific story of the Halbe Kessel remains largely untold. In April 1945, victorious Soviet forces encircled 80,000 men of the German 9th Army in the Halbe area, South of Berlin, together with many thousands of German civilians. The small town of Halbe became the eye of the hurricane for the breakout, as King Tigers of the SS Panzer Corps led the spearhead to the West, supported by Panthers of the battle-hardened 21st Panzer Division. 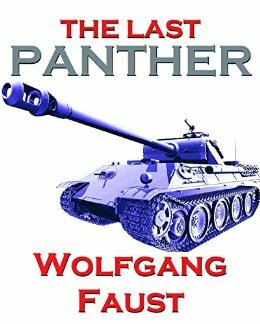 This is a first-hand account by the commander of one of those Panther tanks.